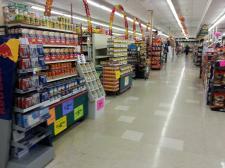 We have a wide selection of grocery items from your everyday needs to those specialty items. We offer national brands and a great private label to help stretch those food dollars. We have a selection of Gluten Free Items, but if you have something on your list and you can’t find it, please let us know and we will try and get it for you.